Alfa Romeo is known for it's sporty heritage, individual styling and sheer power. People who lease an Alfa Romeo are looking for something a bit different. An Italian thoroughbred, Alfa Romeos tend to be quick off the block and quick to be noticed. 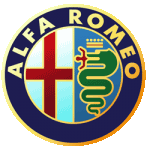 At Little Green Car we have a range of Alfa Romeo lease deals. Take a look below and if you don't see what you're loking for contact us.